When it comes to announcing the gender of a new baby, Americans have seen everything from pink and blue cakes to balloons to explosions – well, almost everything! Joining in the fray, Villa Italian Kitchen, one of America’s favorite quick-service pizza brands, has announced the addition of an exciting new catering package to its robust lineup of mouthwatering menu items: the world’s first-ever Gender Reveal Lasagna! Available now, the Gender Reveal Lasagna Catering Package features one cheese lasagna with a secret pink or blue interior, a tray of Villa Italian Kitchen’s famed garlic rolls and a choice of either a garden, Caesar or Greek salad for just $139.99. Visit www.CateringbyVilla.com for more information! 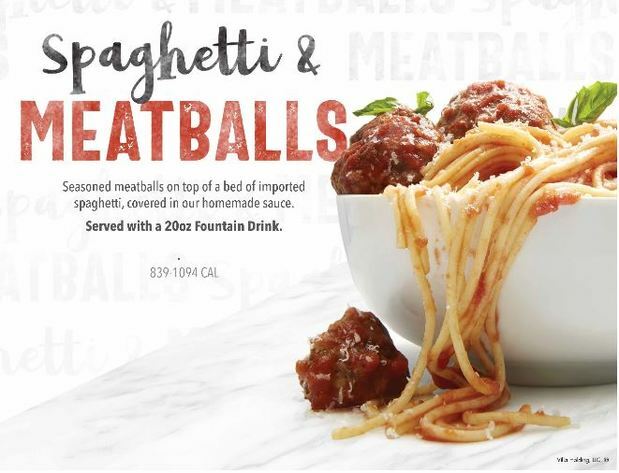 Villa Italian Kitchen is excited to feature a classic, Spaghetti and Meatballs! Two seasoned meatballs on top of a bed of imported spaghetti, covered in our homemade sauce, served with a 20oz Fountain Drink. Come to Villa Italian Kitchen at 1314 Tanger Mall Drive, Riverhead, NY for a delicious Italian meal. 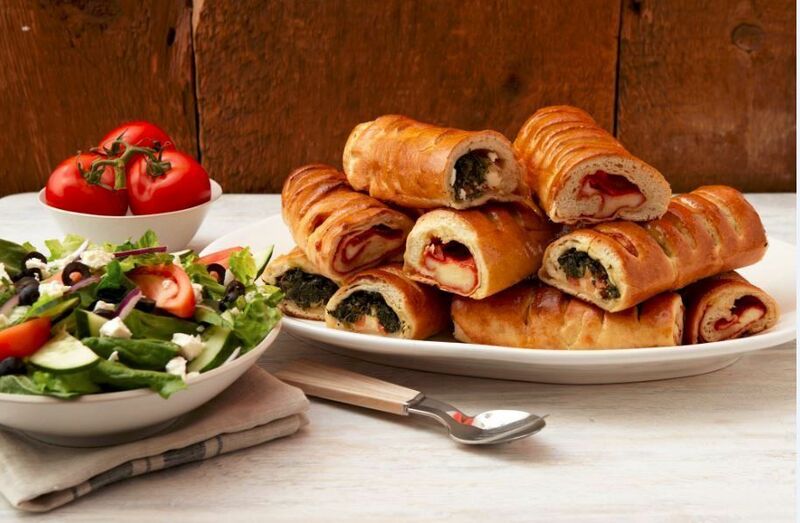 Villa Italian Kitchen was founded with one store, one family and one concept in 1964, when our founder, Michele “Michael” Scotto brought his authentic old-world recipes from Naples, Italy to New York City. Michele’s commitment to hospitality, quality ingredients, like homemade dough, 100% whole milk mozzarella and fresh sauce and the strict loyalty to those now famous recipes, built the business. From that first Villa Pizza that opened in 1964, next to the CBS/Ed Sullivan Theater on Broadway, to nearly 300 Villa Italian Kitchen restaurants later, our commitment to quality and genuine hospitality remains the basis of our foundation. 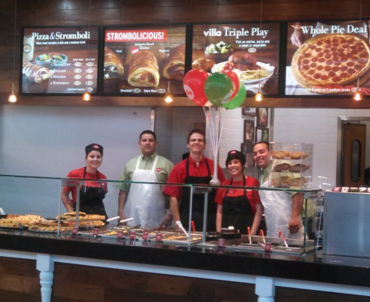 In 2014, Villa Italian Kitchen and its parent company Villa Restaurant Group celebrated its 50th Anniversary. Today, Villa is under the leadership of Michele’s two sons Biagio “Ben” Scotto and Anthony Scotto. Together, they continue the vision and passion of their father extending the genuine hospitality inspired by their father. Receive a free slice plus discounts and information on latest promotions, and something special for your birthday! At every level, throughout Villa Restaurant Group, we strive to deliver an exceptional restaurant experience to our guests through our unique heritage, passion, and commitment to quality. This is more than just a mission statement. It’s our promise to our guests as well as our employees. As a part of the VRG family, you become a part of that promise. At VRG we hire for HEART… Hospitality, Energy, Accountability, Respect, and Teamwork! 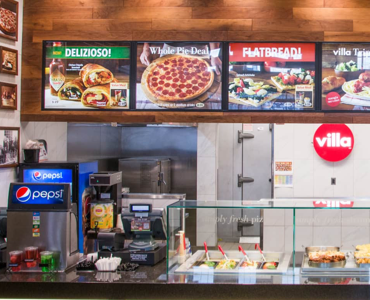 Villa Restaurant Group (VRG) is a restaurant operator and franchisor with a global portfolio of nearly 400 restaurants in 42 states and Puerto Rico, as well as 5 other countries. We offer 4 unique QSR franchise brands with a variety of food choices to appeal to an array of appetites and business portfolios. Opening a Villa franchise is a great way to start your own business, and we’re here to help you every step ofthe way. We invite you to explore all of our franchise opportunities and learn how becoming a part of the Villa family could be the key to your financial future.